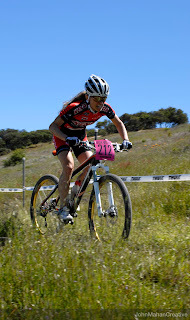 The Sea Otter Classic is one of the best cycling events in the country. It takes place April 19-22, in Monterey County at Mazda Raceway Laguna Seca. Sponsored this year by Volkswagen, the event is billed as “A celebration of cycling” with amateur and professional events, as well as other activities for the entire family. They also host the largest consumer bike exposition in North America. Competitive events include mountain bike racing, downhill/dual slalom, speed and style, road racing, Grand Fondo rides and cyclecross. The infield of the raceway is the home to the bike “Festival”, which includes the bike exposition and stunt shows. The festival area is open 9am-5pm each day. If you have time this weekend, join the nearly 50,000 athletes and cycling fans that will be attending this four-day nirvana of two-wheel fun. Admission to the festival is $12 at the gate for one day or $35 for all 4 days. Discounts are available from their website. Hotel accommodations may be tough to find, but camping is still available at the raceway.